Once upon a time I was an awesome mother with morals as high as Mt Fuji and my intentions were as pure as untouched snow. Of course I didn't have kids then, so it was far easier to maintain such a high standard than it is today. Someone once told me that "you will never be as good a parent as you are when you don't actually have kids". I was ready to argue that point, but then I remembered that I once said I would never let my kids play with plastic guns, let them eat Maccas or play electronic games. Clearly those expectations went out the window with my pelvic floor muscles. I figured out early on in this parenting gig that you should never say never. Because One: you will embarrass yourself when you go back on your word, and Two: you will have to listen to your parents say "I told you" so for the rest of your life. I learnt that if you don't let your kids have a toy gun to play Cowboys and Indians with then there is a good chance that they will just use their fingers as make believe guns. If you don't let them ever eat Maccas then the urge to try it becomes a beast in itself. I also learnt if you don't let your kids play electronic games, then there is a good chance they will just play them sneakily at a mates places in the hope you don't find out. I am by no means going to claim that I have figured this parenting thing all out yet. In fact I am pretty sure I will stuff it up all the way until they have their own kids and then I get to do the "I told you so" game. Until then, we have found that setting guidelines and limits and getting the kids involved in the construction of those guidelines and limits a more effective way of achieving a balance between what we want them to do and what they want to do. Without these guidelines my kids would quite possibly play for hours on their PlayStation. Thankfully they do actually prefer to be outdoors riding bikes and skating, but like most kids they also like to play the games as well and they are very good at completely losing track of time. Luckily for us we have friends with older kids and so we have managed to pick up a few tricks along the way that actually work for us. 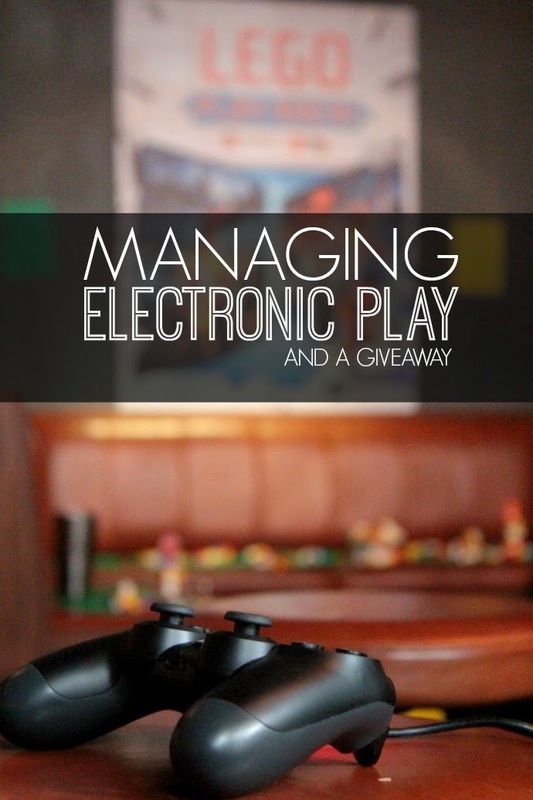 Make the kids earn their electronic play time. They can earn it by doing homework, jobs or spending time outside. Set a maximum limit they can earn in a day. This limit is something that you need to be comfortable with. In our house, the boys are only allowed to play these games on weekends or in school holidays and they can earn a maximum of an hour a day play time. Use a timer like an egg timer, iPhone alarm or microwave timer so that the kids know exactly when their time is up. Give them a 10 minute warning to wind up the game, because trust me, nothing cause a meltdown faster than asking them to shut off a game immediately without saving their progress. I learnt this one the hard way. Monitor what games your kids play. Did you know that there is a popular car game that encourages the player to kill the prostitute so you don't have to pay them the money and you can use it instead to buy cars and guns? I had NO IDEA!! Obviously games have a rating for a reason. Try to avoid planing the game consoles in kid's bedrooms as you are only rubbing temptation in their face. Keep it in the family room and encourage more social games with multi-players to avoid the zombie syndrome where your child just sits and stares at the screen and won't speak to anyone. Don't accept tantrums over games. If they chuck a wobbly about running out of time, losing a game or whatever - simply turn it off. They need to learn to moderate their temper - it is after all just a game. Hardly rocket science stuff... but it seems to work for us. I would love to hear if you have any other tips to help us maneuver our way through the gaming minefield. 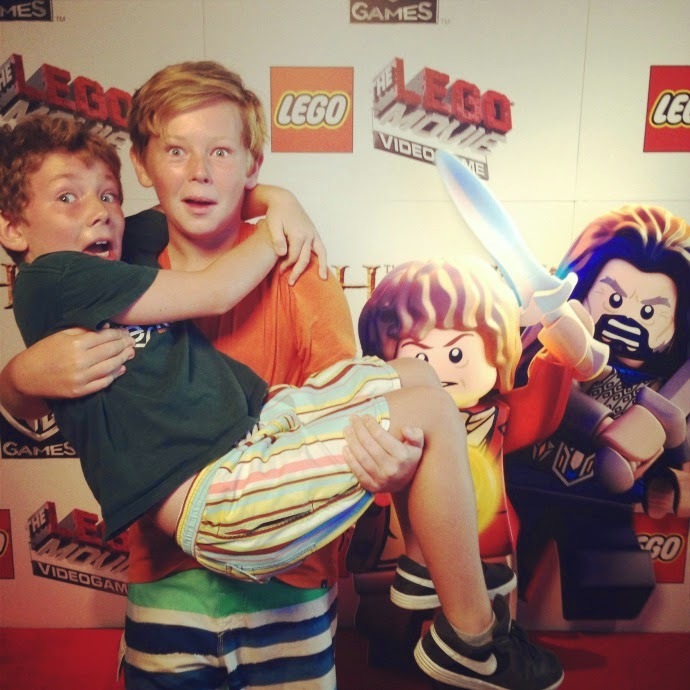 During the holidays my boys were lucky enough to be invited to the launch of the new Lego Movie and Lego Hobbit video games. They were even luckier to win themselves a PlayStation 4 after they entered the above photo in a competition on the day. Lucky Buggers! 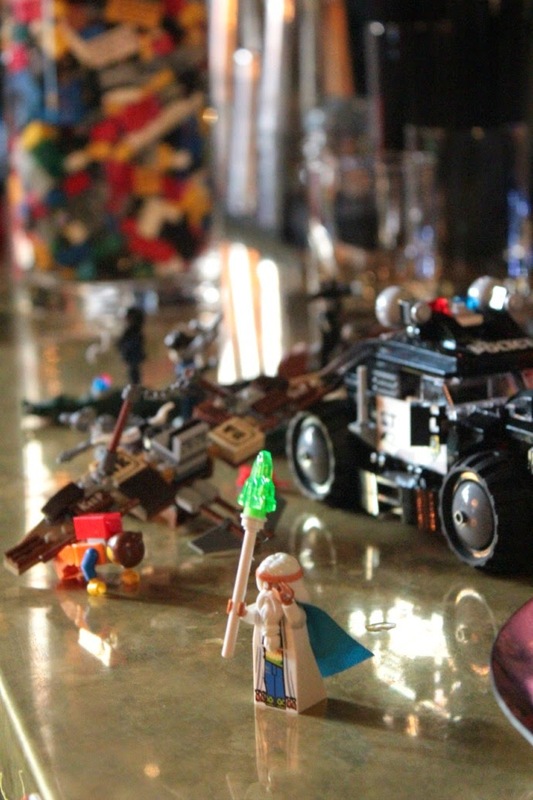 Now these Lego games are the type of games even I can get sucked into... and I did once. True story - I was once so addicted to Lego Star Wars on DS that I sat up until the wee hours of the morning for whole week trying desperately to beat all the levels. I even resorted to Googling cheats tips to help me. My kids were begging for their DS back and I was all "Mummy just needs to be sure it is OK to play this". A week later I had two levels I couldn't beat and the game officially defeated me. 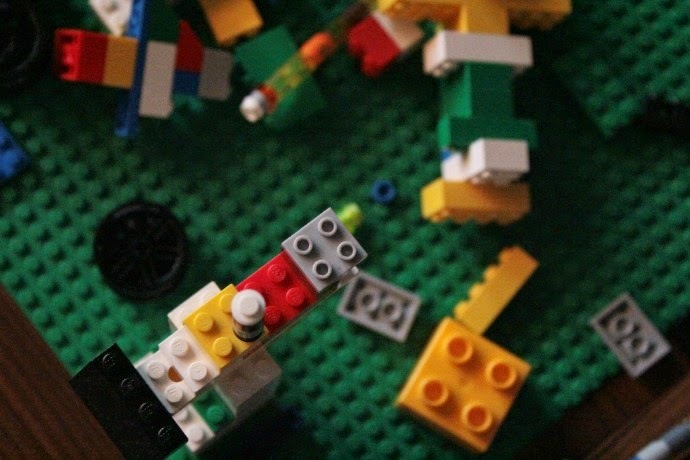 I haven't become addicted myself to the new Lego games, although I have now been singing that "Everything is Awesome" song on loop for weeks. Sorry I have probably just doomed you to days of singing it too. 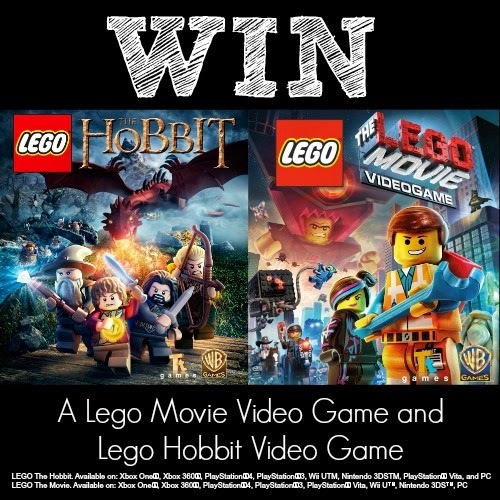 So how do you fancy winning your kids a copy of the Lego Movie Game, Lego Hobbit Game and a special Lego gift bag? Apparently they are THE games all the kids want (according to my kids). Was there something you once said you would never do as a parent but ended up having to eat your words? 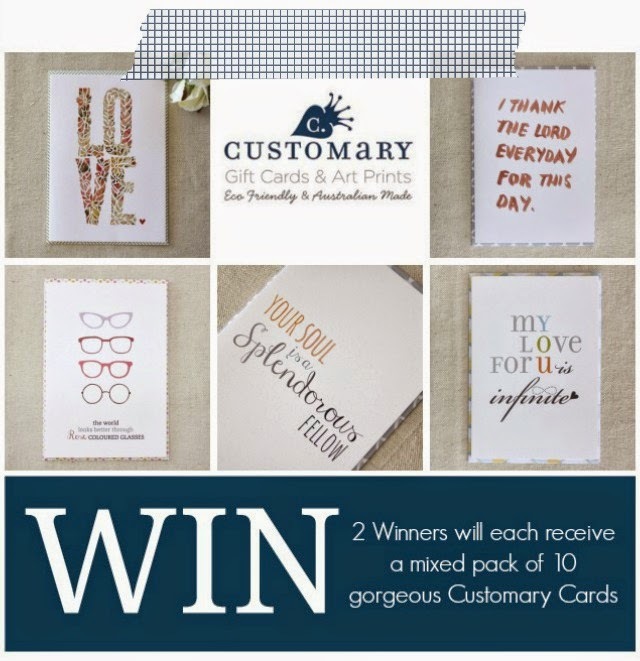 Then follow the prompts in the Rafflecopter widget below and a winner will be chosen an announced here on the blog and contacted via email. ***This is not a sponsored giveaway. I was offered a prize pack to giveaway to my readers and I said "Hell Yeah". All opinions are my own and I will not like literally force you to eat your words or anything.